Reigning Supercheap Auto Bathurst 1000 winner Paul Morris has hinted he may hang up his helmet at the end of this weekend. The 2014Bathurst Champions were presented winners plaques today in the city of Bathurst and alongside young superstar Chaz Mostert, Morris announced this weekend's Dunlop Series race would be his last. While this week's laps maybe his last in a V8 Supercar, Morris is still adamant he wants a strong showing at Mount Panorama. "I want to, for sure. That's why we come here," he told v8supercars.com.au. "I think we've probably got a good chance in that race. There's a little bit of strategy involved. Fuel and tyres. A few things. "It would be good to finish on the podium. It'll be lovely." 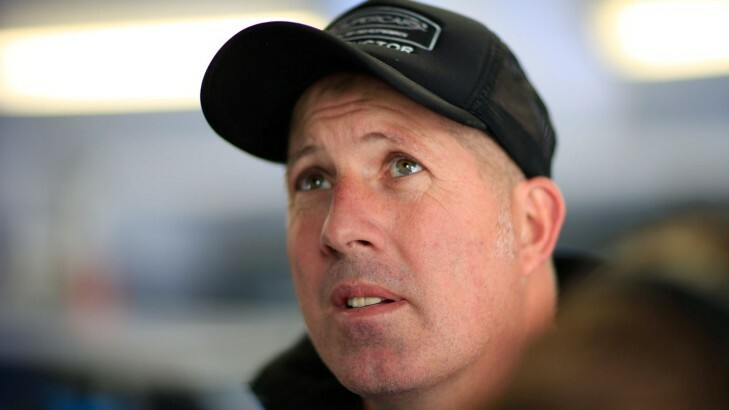 While the 47-year old was tentative to give more details on his decision to step away from driving a V8 Supercar, Morris suggested the introduction of the new generation Supercar into the Dunlop Series for 2016 affected his decision to step back. "I think the new car coming into the Dunlop Series - I don't have one of them to regroup and tool up just to go and have a bit of fun racing," he said. "It's probably not commercially sound - I really only do it for fun. The car is there, we organise a couple of commercial deals... but looking into the future, there are probably other things I can go and do." Alongside his driving duties this weekend, Morris is lending his Bathurst-winning experience to the Harvey Norman Supergirls as mentor to Renee Gracie and Simona De Silvestro. His team fields Dunlop Series cars for Gracie and Bryce Fullwood, and Morris has proved he thrives in the mentor role in recent years, winning with Chaz Mostert last year and helped Scott Pye to his best Bathurst result. When asked what sort of advice he has been giving the girls, Morris said: "No different to what I give anyone else - you just have to think about lap 161 on Sunday, nothing else matters between now and then. "No one remembers what happens in practice one or qualifying or anything else. It's where you finish the race - that's the most important thing."